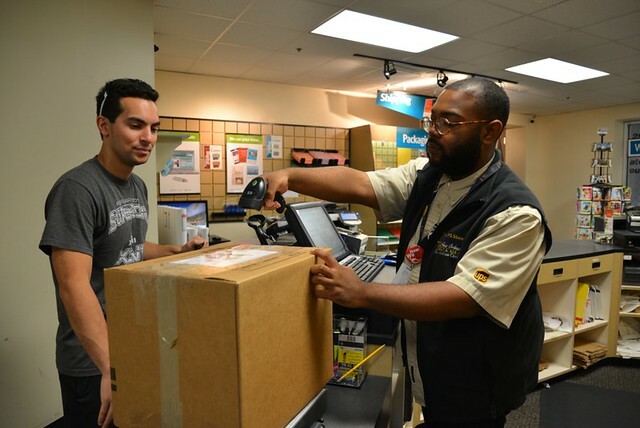 The UPS Store at the New Orleans Ernest N. Morial Convention Center received top marks from UPS Corporate Headquarters during an annual 2014 Print Mystery Shop evaluation. The UPS Store received 99 out of 100 points. The criterion to pass a Print Mystery Shop is to give the customer a quote within four hours of the print request. In addition to the print quote request, the mystery shopper grades the store on customer service and overall in-store experience. The UPS Store at the Convention Center is an independently owned and operated by the New Orleans Ernest N. Morial Convention Center. Located in Lobby F, the UPS Store at the Convention Center is self-service or full-service, depending on the customer’s needs. Remote business centers can be set up at event registration areas. Hours are tailored to meet the needs of show managers and attendees. A wide range of supplies and services including shipping, high volume copying, faxing, badge chains, etc., are available. Visit www.theupsstorelocal.com/6216 for more information. Packaging is one of the services offered by the UPS Store at the Convention Center. With 1.1 million square feet of contiguous exhibit space, an award winning staff and first class amenities, the New Orleans Ernest N. Morial Convention Center (NOMCC) is the sixth largest convention center in the nation and a consistent Top 10 host of the largest number of conventions and tradeshows annually. A leading rainmaker of the city’s hospitality industry, NOMCC event activity has produced $45.97 billion in economic impact since its 1985 opening, including $2.75 billion in new tax revenue. Located in Lobby F, the UPS Store at the Convention Center is self-service or full-service, depending on the customer’s needs. Remote business centers can be set up at event registration areas. Hours are tailored to meet the needs of show managers and attendees. A wide range of supplies and services including shipping, high volume copying, faxing, badge chains, etc., are available. Visit www.theupsstorelocal.com/6216 for more information. With more than 4,700 locations in the U.S., Puerto Rico and Canada, The UPS Store and Mail Boxes Etc.® network comprises the world’s largest franchise system of retail shipping, postal, printing and business service centers. In the U.S., The UPS Store locations are independently owned and operated by licensed franchisees of Mail Boxes Etc., Inc., a UPS subsidiary. In Canada, locations are independently owned and operated by licensed franchisees of master licensee MBEC Communications, L.P. For additional information, please visit www.theupsstore.com or www.mbe.com.